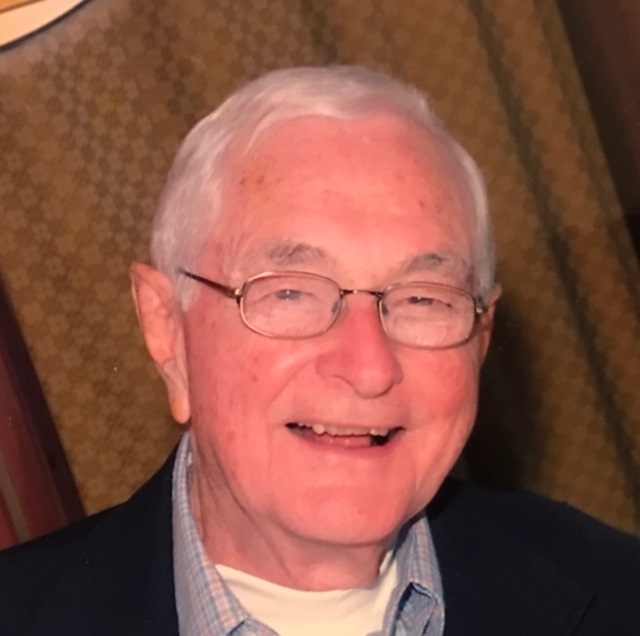 Thomas J. Burke of Elkhorn, Wis., died of natural causes on October 15th, 2018. Tom was 92 years old. He is the 6th born of 7 children to Francis and Mary Estella Burke on August 24th, 1926, in Sioux Falls, South Dakota. He is preceded in death by his Parents Francis and Mary Estella Burke and siblings Francis Burke, Eileen McGurn, John (Jack) Burke, James Burke and Mary Hosang. Tom is survived by his sister Barbara Schwarz (Bob). He is also survived by his wife Josephine Park Burke and six children: Kathleen Braaten (Mark), Maura Wingard (Terry), Aileen Ellis (Michael), Margaret Burke-Miles (Darwin), Josephine Jeffers Bitter (Greg), and Thomas J. Burke Jr. Tom was blessed with 21 Grandchildren and 2 Great-grandchildren. Tom was a graduate of Cathedral High School in Sioux Falls, SD, in 1944. He was commissioned to serve in the US Navy in the fall of 1944 during World War II. Once discharged in 1947, Tom took advantage of the GI Bill and attended 5 years of college at the University of South Dakota where he received a Law Degree. Tom served as Counsel for the Department of Agriculture stationed in Minneapolis and later Chicago. While in Chicago he went on a date with Jody Park - a graduate of the University of Wisconsin-Madison and stewardess for Delta Airlines. Tom and Jody were married November 30, 1957. Between August 11th, 1958 and September 8th, 1962, four daughters were born to Tom & Jody: Kathleen, Maura, Aileen and Margaret. During this time Tom was also hired by Beloit Corporation, based in Beloit, Wisconsin. Tom and family lived in Beloit briefly before being transferred to West Chester, Pennsylvania, and later to Quebec, Canada. In early 1967, Beloit Corporation moved Tom, Jody and kids back to Beloit. This would begin a 20 year era where Tom ascended the ranks of his company while his family grew and settled into life in Beloit. In March 1967 Tom Jr. was born. In October 1970 Josephine Jeffers (J.J.) was born. In 1980, Tom was promoted to Corporate Director of Industrial and Public Relations at Beloit Corp. This ushered in a new era of travel for Tom as the company had an international presence with factories in Europe and South America. Much of his work in this role was negotiating labor contracts in the various countries of operations for the company. Tom and Jody belonged to St. Thomas Parish in Beloit and later Our Lady of Assumption Parish. Tom was an ardent supporter of Catholic Education and supported Catholic schools in Beloit, along with the Boys Club and the YMCA. In January 1987, after a 30 year career, Tom retired from Beloit Corporation. In 1988 Tom and Jody moved to Elkhorn, Wis.
Travel, Church, weddings, Grandchildren, volunteering, golf, extended family, local Boards and organizations dominated Tom’s life in Elkhorn until his passing in 2018. Tom was a man of his generation and carried deep conviction as a patriot for his Country. He was equally proud of his Irish heritage, which he always said gave him his Catholic Faith. Tom was loyal, humble and kind. He loved any social gathering and those who knew him best will miss his quick wit and his signature socks! 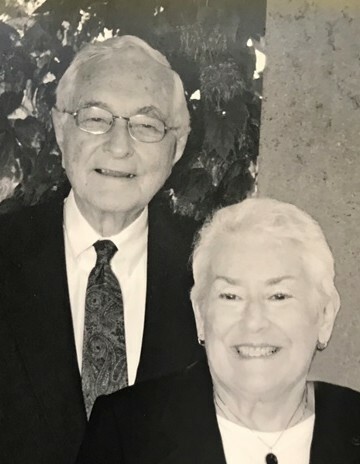 His dedication to his family was unwavering and after 61 years of marriage, in the final days of his life, he wanted only to be next to his wife Jody in all things. A Mass of Christian Burial will take place on Friday October 26, 2018 at 11:00AM at St. Patrick’s Catholic Church 107 W. Walworth Street Elkhorn, WI. Visitation will be held before Mass on Friday the 26th from 9:00AM until 10:15AM at Haase-Lockwood & Associates Funeral Home 730 N. Wisconsin Street Elkhorn, WI. A Rosary will be prayed together at 10:15AM at the end of the Visitation at the Funeral Home. In Lieu of flowers please send donations to Boys Club of Beloit or St. Patrick’s Catholic Church in Elkhorn, Wisconsin. Tom's family invites you to visit his tribute on www.forevermissed.com under the search bar enter "Thomas Burke".